Home Awesome Products KidCheck is a Leader in Child Safety – See Why! 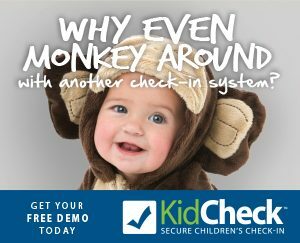 In addition to amazing, super secure children’s check-in, featuring the latest technology; KidCheck is the child safety expert. They have tons of great information, tips, and best practices to share – all for free. KidCheck believes every child deserves a chance to grow up in a safe environment, and every parent deserves peace-of-mind about the safety of their children. The first step in reaching a parent is by protecting their children. Great safety resources to download for free. You can even sign up to receive the posts directly in your email each week (free)! KidCheck continually shares tips and best practices. Get more information on improving child safety through their social community on Twitter, Facebook, Instagram, Google+, Pinterest. With so much safety expertise, it’s no wonder KidCheck is Kidology’s preferred and recommended child check-in solution. Learn more with a free online demo!